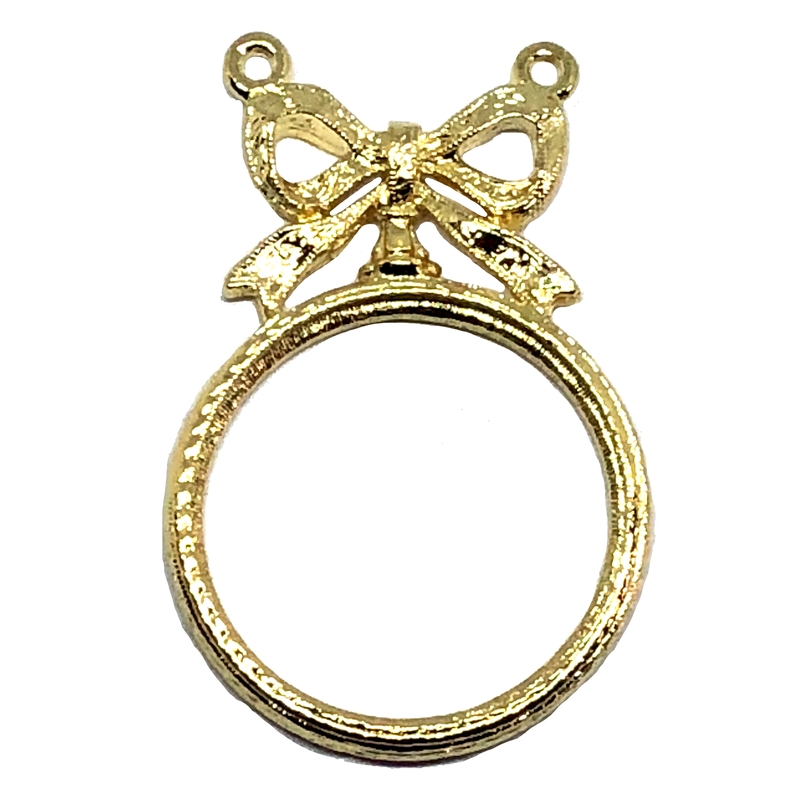 Backless bezel bow pendant, 22K gold finish pewter, cameo mount, Victorian bow, vintage style, pewter castings, B'sue by 1928, US made. Measuring 49 x 32mm (outside diameter) and about 27 mount. Nicely finished to the back and work nicely as a pendant, two top hanging holes. This piece is so versatile as it is reversible, lovely either way. Multiple uses, charms or necklace. This gold finish is even more beautiful in person!! You must try it! 22K Gold Finish is a rich bright gold wash over the pewter. Very strong and sturdy, it is lead and cadmium free as are all our finishes at B'sue Boutiques.